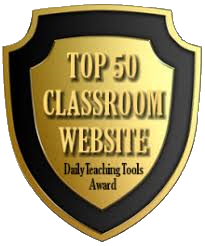 ﻿Students are to create a Quizlet word list and print the "glossary", stapling it in their notebook. This is a large assignment and should be completed over time. 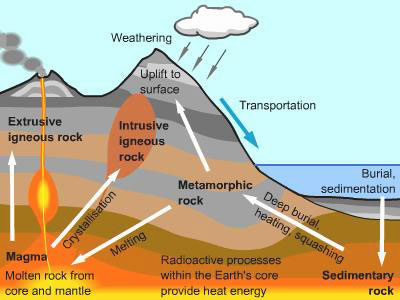 Some of these terms come from the Delta Science program on rocks and minerals. Those terms are in the .pdf file below. skips 3-4 lines between each. What terms would we use to describe objects? Create a chart like the one below in your notebook. Define Metallic and Nonmetallic Luster. Describe characteristics of each term. Could you perform a luster test on a rock to determine its mineral content? 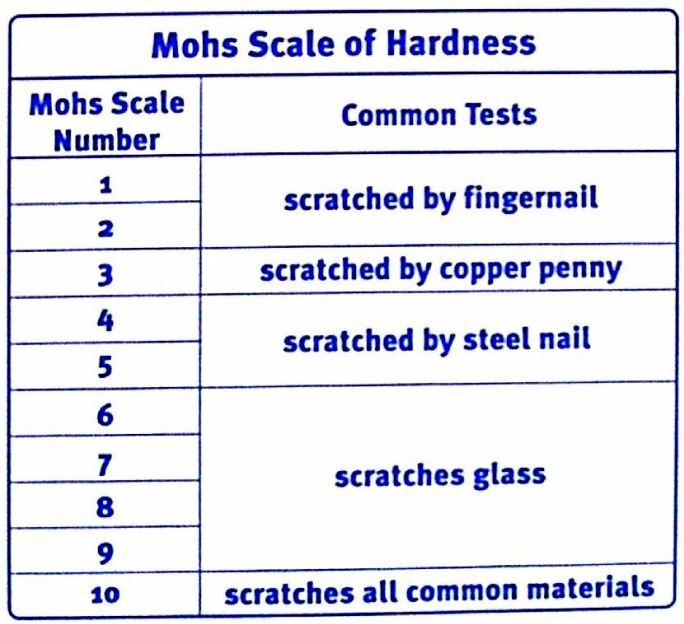 According to the Mohs Scale of Hardness, which rank is the softest? Hardest? What does it mean if a mineral has a higher rank on the Mohs Scale? Why is the streak test used to identify minerals? Is the streak test always reliable? Explain. If not what can geologists do? ﻿Print and paste the Mineral Data Sheet in your notebook (reduce to 77%). Copy the following questions and graphic in notebook. Why might knowing the shape of crystallization in minerals be important? Copy the following questions and chart in notebook. What shape do you predict your salt crystals will have after you dissolve and recrystallize them? What did you observe after the activity about the shape of the crystals? Copy or print and paste, these charts in your notebook. Purpose: To discover how various types of rocks form with specialized knowledge of one particular type of rock. Project Description: Use your textbook, notebook, The Front Seat, or other useful research tools to take notes on your assigned rock type. Write a creative story that 1 describe your rock’s origin from existing rocks, 2 the process of changing into a new rock, 3 and give a physical description of the rock (how it looks and feels). These stories should be creative, personifying the “life-cycle” or a rock. Each story should have a plot, setting, and characters, be sure to name your rock. Project Presentation: In a 3 to 4 minute presentation tell the “life” story of your rock to the class. You may use animations and props fi needed. Complete the following worksheet. This involves independent research.